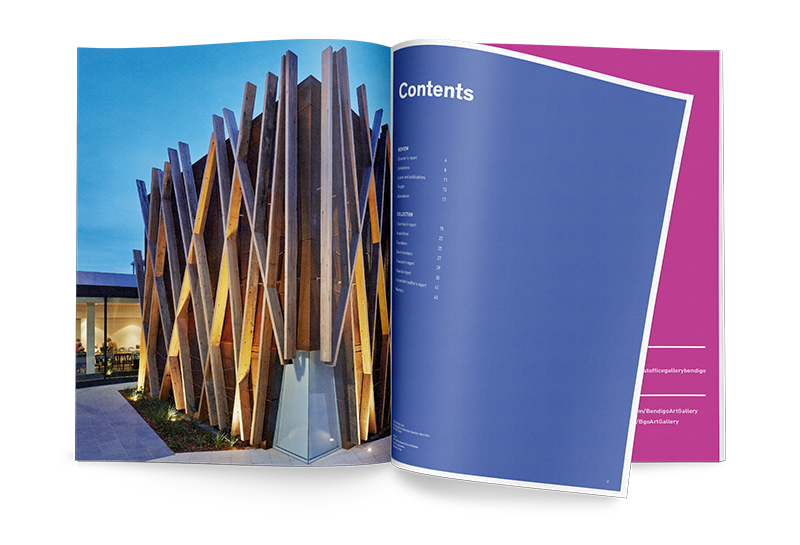 In line with its growing popularity as Australia’s largest and most impressive regional art museum, Bendigo Art Gallery launched its $8.5m re-development in March 2014; a new contemporary wing of galleries bordering Rosalind Park at the rear, designed by Karl Fender of Fender Katsalidis Architects. 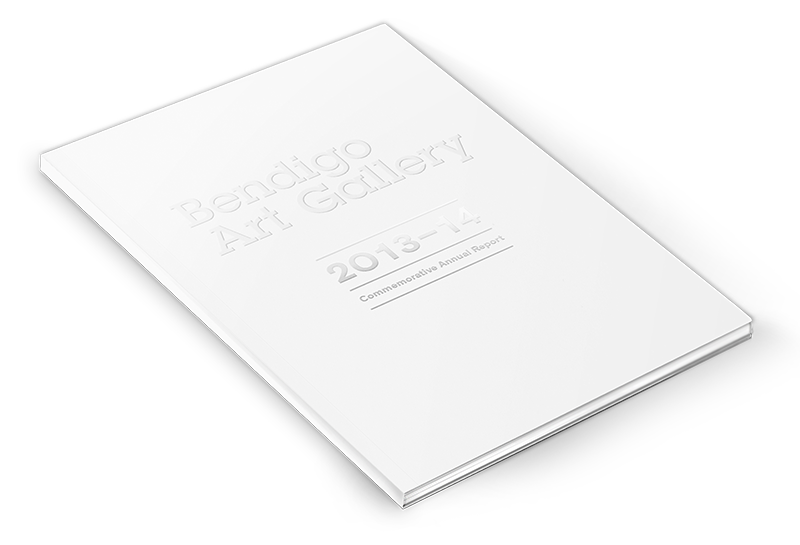 To coincide with this prestigious new development Bendigo Art Gallery required a fresh and elegant new design direction for their 2013-14 Annual Report. The publication focuses on clean, contemporary and minimalist design that is both elegant, art focused, direct and spacious. 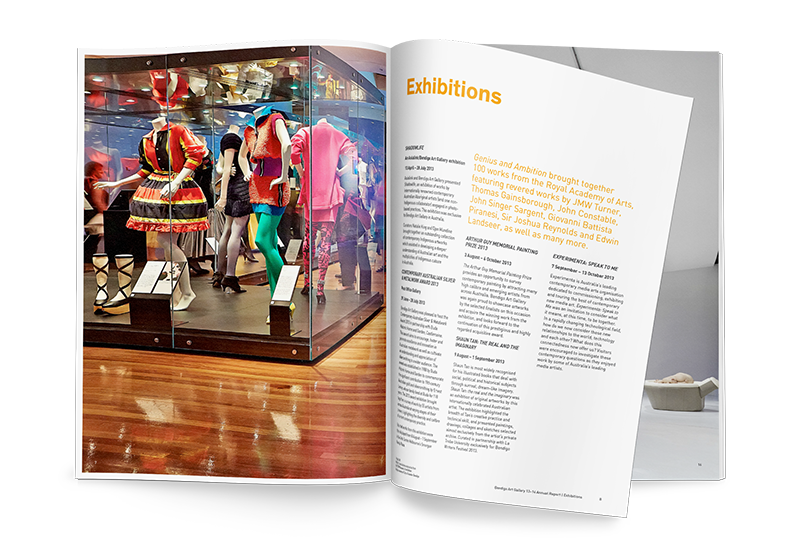 Use of engaging full bleed imagery juxtaposes against text content and creates pace throughout the document. Bold, flat colour panels create additional vibrancy, breathing space and separation throughout the content. 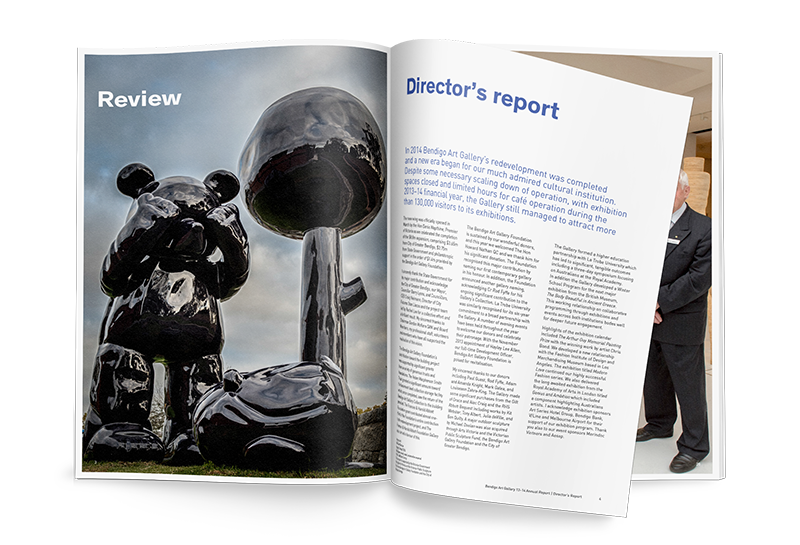 The cover also utilised a number of high end embellishment techniques to give the document a sense of space, subtlety and grandeur, including finishing techniques such as debossing and spot gloss UV varnish. The publication was perfect bound and printed on a lustrous 100% FSC certified premium uncoated stock to impart a lovely tactile feel.